Early Forest is pleased to welcome new blogger, Arati, to our team. Arati hosts a tree blog from Chennai, India and will be posting occasionally to EarlyForest.Com. Visit Arati's blog at http://ringsofsilverpv.blogspot.com/. We are excited about to see what trees Arati will share from tropical Asia. "I'm a nature enthusiast living in southern India. A love for nature and in particular for the trees around me is something that has been in me since i was a child, but it is only in recent years that i have taken to diligently digging up information on the many characteristics and names of my wooded friends! My blog has been the perfect medium for me to share my findings and engage in discussion with other tree lovers from all over the world, and i'm now delighted to be a part of early forest! I blog mostly about the trees around me, so the trees of the tropics are my current focus." I am really looking forward to Arati's contributions. I am excited about the growth Early Forest has made this summer. 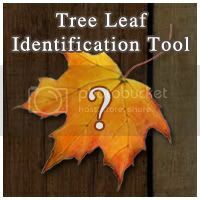 I envision EarlyForest.Com becoming a really interactive community for tree enthusiasts and a great free resource for everyone. I would like to once again invite passionate tree bloggers and nature photographers to join the Early Forest Team. If you are interested drop a comment on this post or email Craig at EarlyForest dot Com.